Is it possible to craft an ageless, unisex Shoebox gift which any child would appreciate? It did get us thinking. 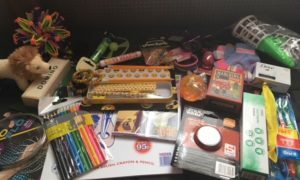 Without any desire to take away from the beautiful personalisation and uniqueness of each shoebox gift, was there a way of putting a list together of items that would universally appeal to children regardless of whether they’re 3yrs old or 14yrs old? In 2017 we delivered over 38,000 shoebox gifts to children and families in Eastern Europe, the vast majority of those gifts were given from primary school aged children in the UK and, understandably, created for primary school aged children in Eastern Europe. However, we also give boxes to pre-school and secondary school age children and in some cases, regardless of our best efforts, we did not always have a suitably aged box to match with the child. This, obviously, doesn’t always matter. After all a 12yr old boy who has never owned a toy in his life isn’t going to quibble over being given a set of plastic dinosaurs! But it did make us think about what 6yr old boys and 12yr old boys all love? e.g. football cards; an inflatable ball; a wind-up torch; a fascinating puzzle or DIY model kit; a fidget spinner etc. We’re sure you can think of countless other age-bridging gifts! 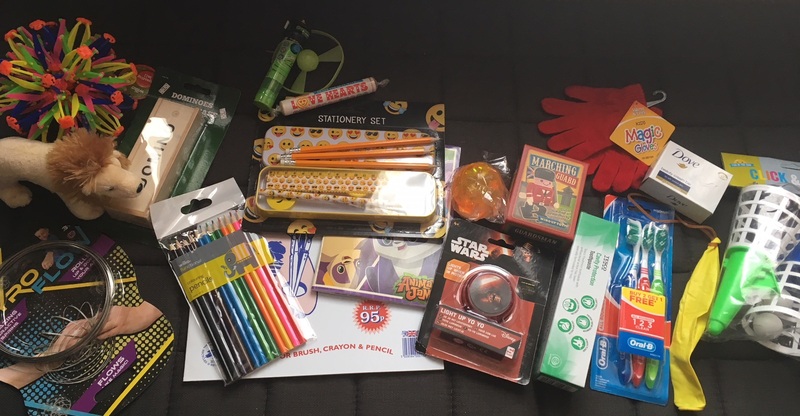 Personally my kids* love to make a box for a ‘boy’ or for a ‘girl’, and without trying to stir anything up about what boys typically like or girls typically like, our kids often want to include items they would like to receive, in the boxes for children overseas. So we amended the above unisex box by adding a few items boys generally may prefer more and alternatively a few items girls may find useful and might like more (hairband/bobbles & hair-clips, a pocket mirror, glow-in-the-dark loom bands, nail polish, jewellery). We hope some of these ideas inspire you as you put together your Shoebox gifts for this year! *written by Ziz York, Shoebox Coordinator.